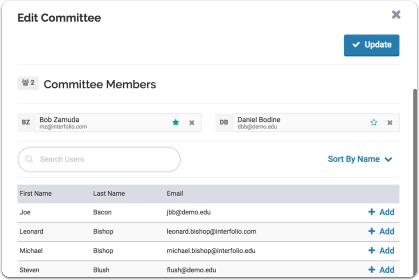 The instructions below are for permanently changing the membership of a standing committee in Interfolio Review, Promotion, & Tenure. 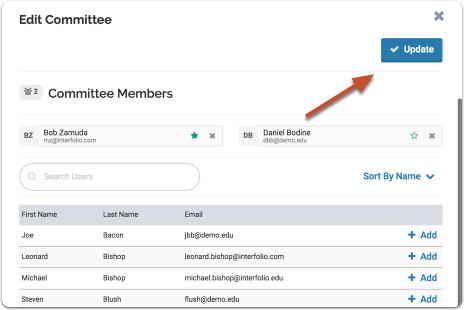 Users are added or removed permanently to standing committees from the Users & Group Management page. 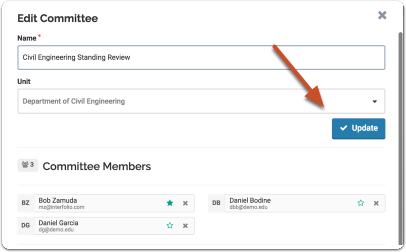 You can also add a temporary member to a standing committee from the Case page, or when editing case review steps. 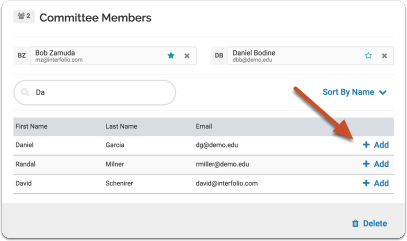 Note: A person must first be added to the program as an Interfolio Promotion & Tenure user in order to be assigned to a standing committee. 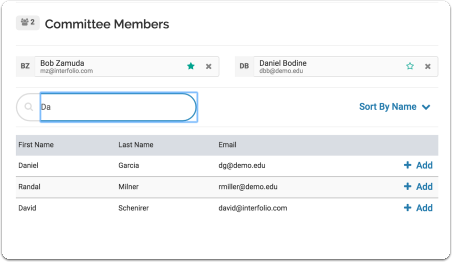 See here for more information on adding a user to the program.